Test your powers of observation and become a Goddess. Is there a better alternative to Goddess Chronicles? Is Goddess Chronicles really the best app in Adventure category? Will Goddess Chronicles work good on macOS 10.13.4? Goddess Chronicles…Test your powers of observation and become a Goddess! 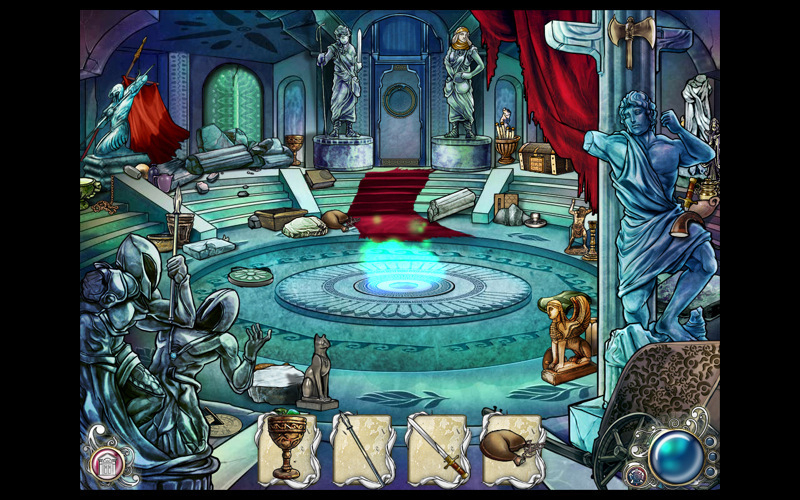 Undertake the challenge of becoming a Goddess and earn your place among the Gods in this challenging visual hidden-object game. Take on the role of Adonia, an up and coming goddess, and overcome numerous challenges in your quest for immortality. The journey begins on Mount Olympus where on accepting to undergo the trials of the Guardian you are swept away to your first challenge. Goddess Chronicles needs a review. Be the first to review this app and get the discussion started! Goddess Chronicles needs a rating. Be the first to rate this app and get the discussion started! Use your keen power of observation to find and assemble artifacts that lay hidden among ancient and exotic scenes rendered in an artistic style. To find everything you need, you'll use tools and divine powers that are earned by solving interesting and unique mini-games. The gods are patient, but test their patience too much and they'll send you away until you have proven your worthiness to become a god. The powers give you the ability to search for hidden-objects in new ways and solve puzzles that will keep you entertained for hours. Along the way you'll visit more than 30 themed locations each with interesting objects to find and ultimately face the ultimate test of the gods. Transform yourself into a Goddess and earn your place among the Gods. Over 30 challenging hidden-object levels to play. 6 world themed environments, including Mount Olympus. Unlock divine powers to aid you in your quest.